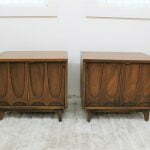 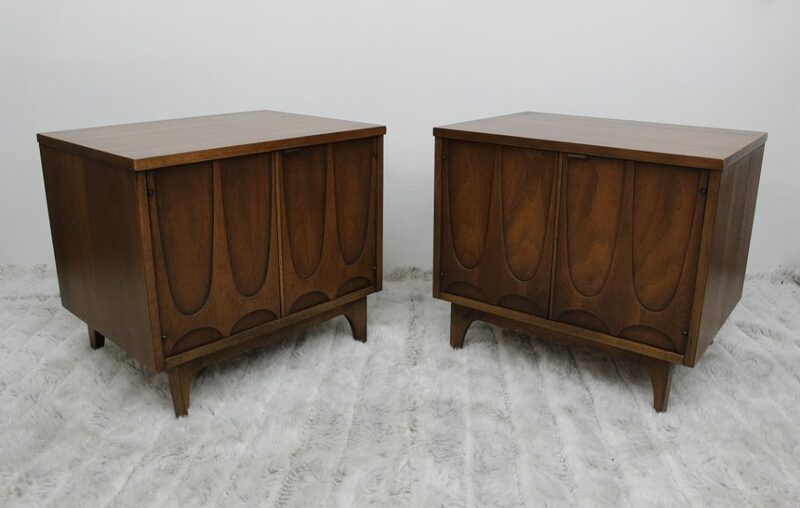 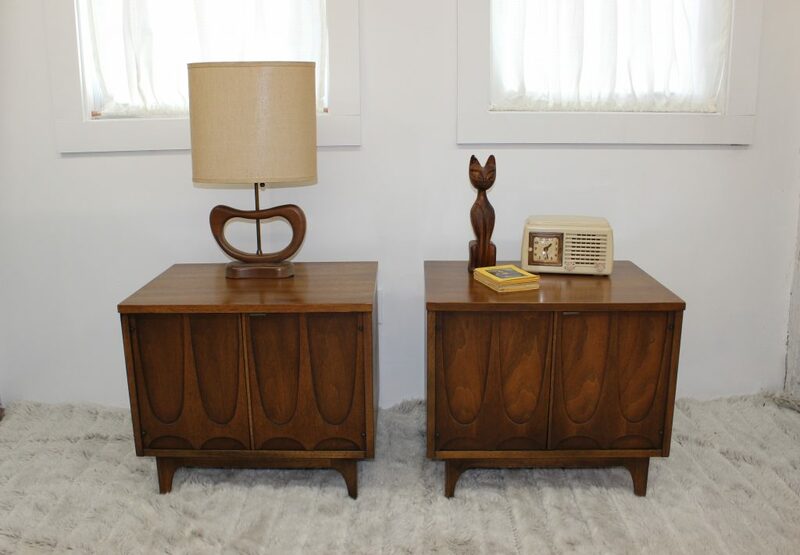 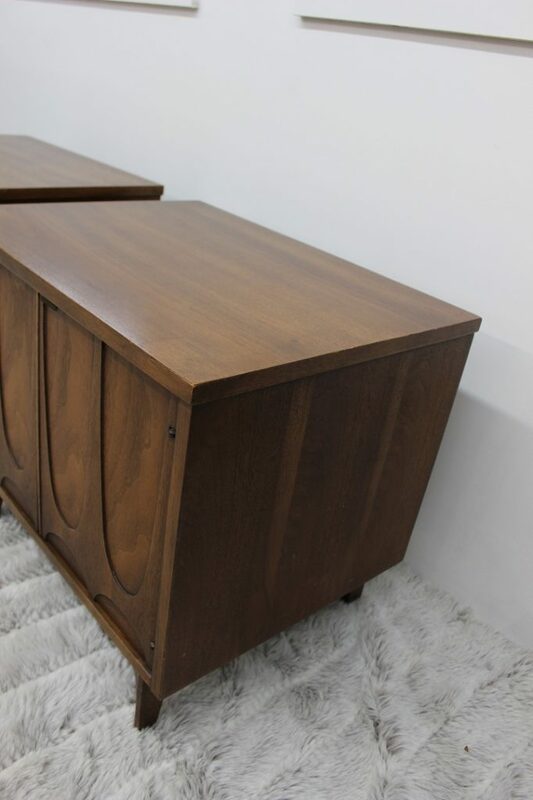 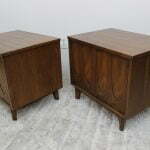 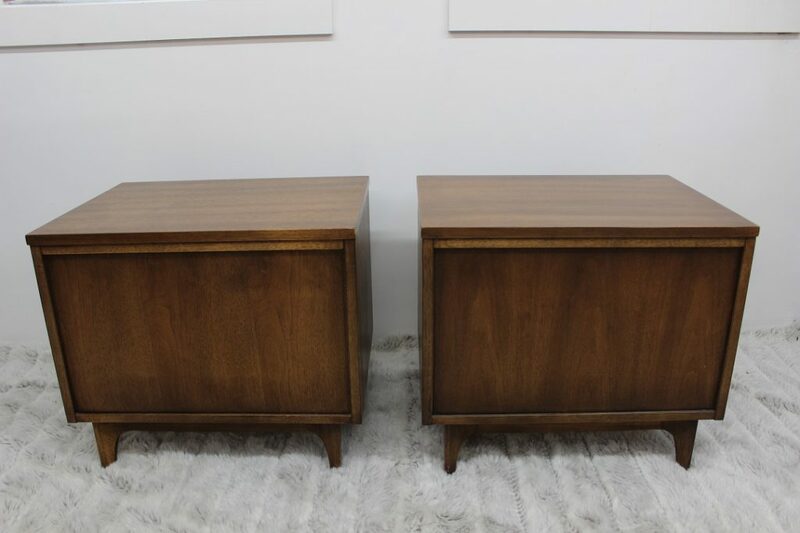 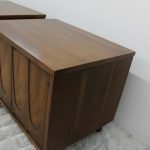 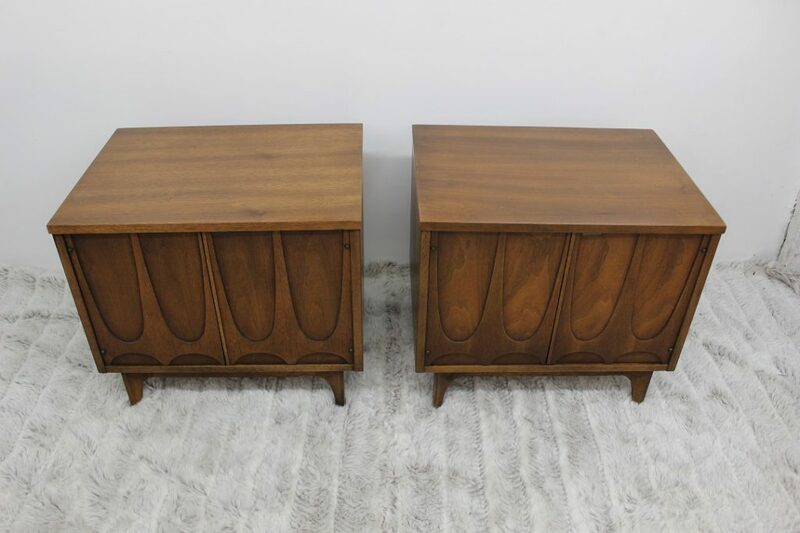 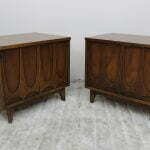 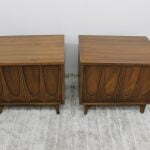 Take a look at this beautiful pair of nightstands / end tables. 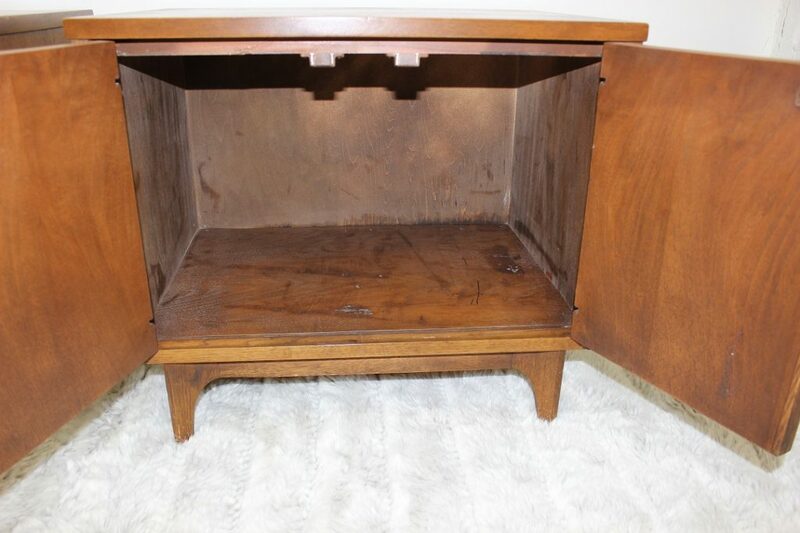 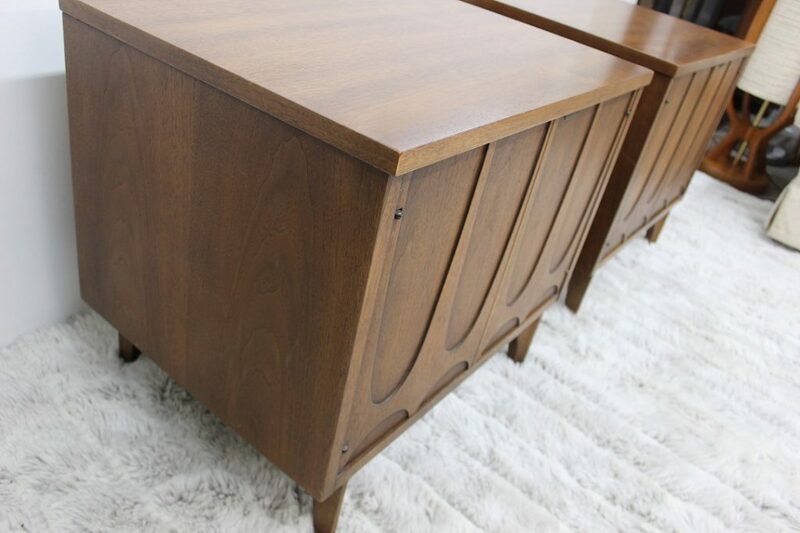 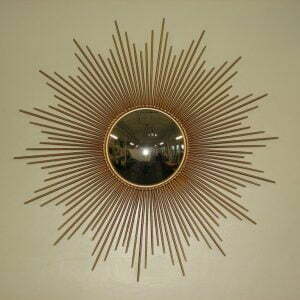 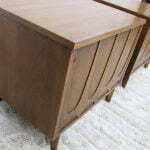 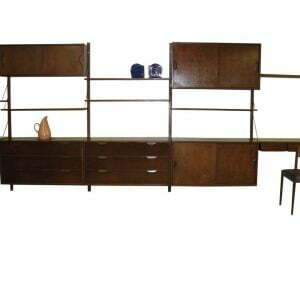 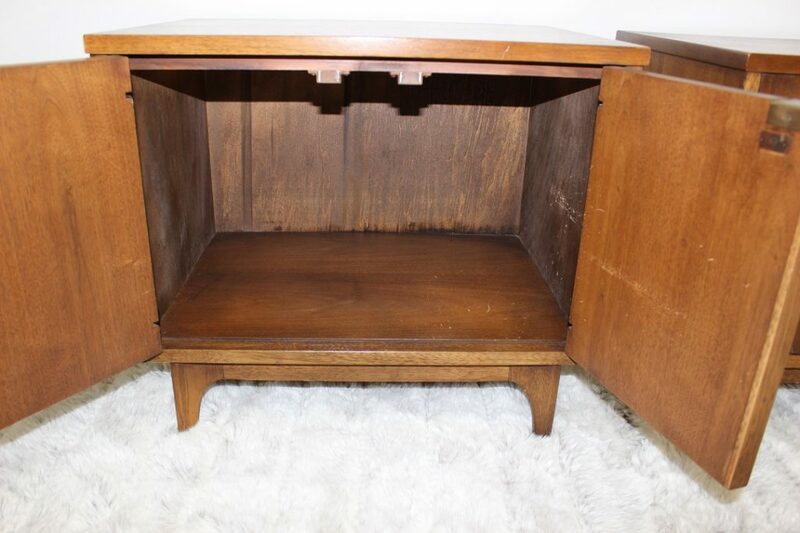 Manufactured by the iconic Broyhill Premier company for the line Brasilia. 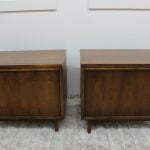  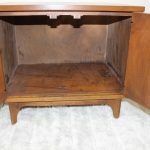 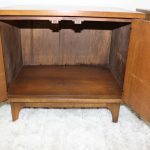 The best part for me about these small tables is that they can also be used as cabinets, the fact that they don’t have any restricting shelves is one of the best features of these small tables. 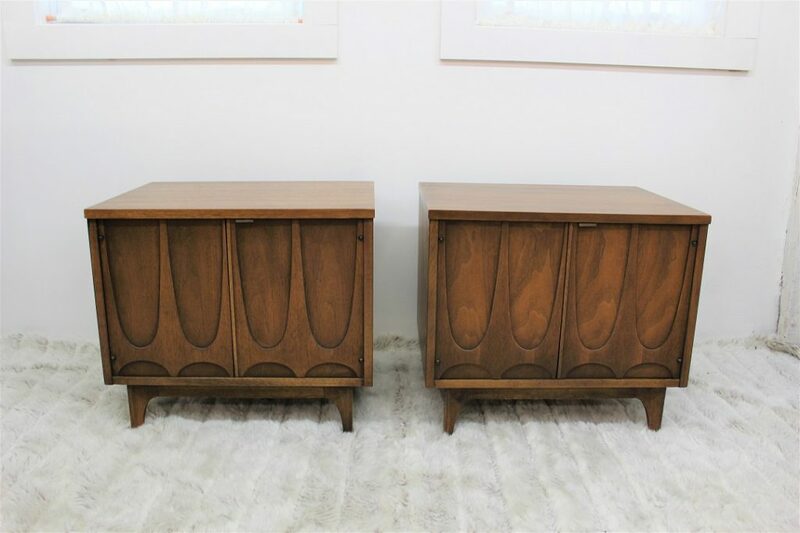 They are model6150-20 and each of them has two doors. 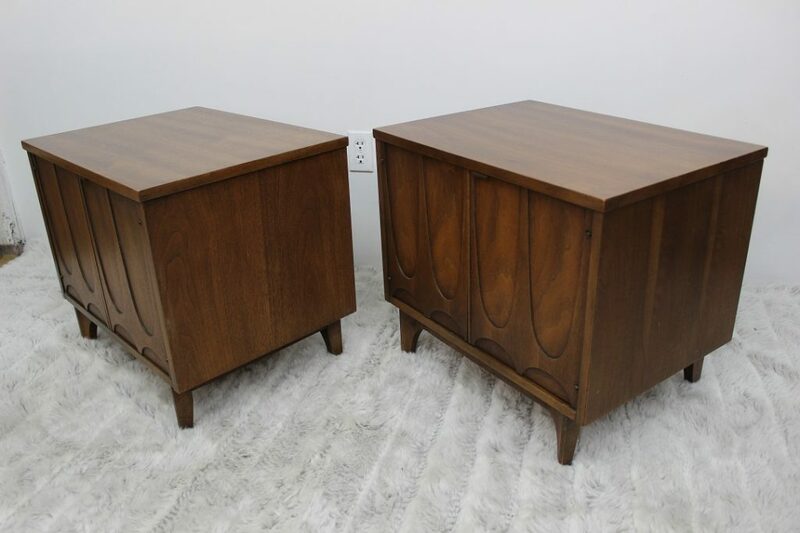 The end tables measure 24″ long by 18″ deep and 21″ high. 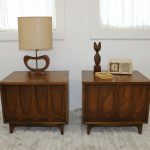 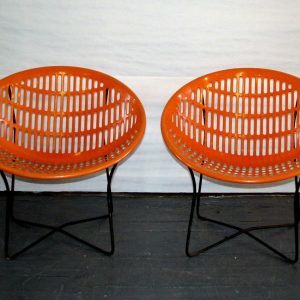 One owner since 1968 and in great vintage condition.